Grayson Chiropractic Associates has been enriching the lives of the Rochester and surrounding communities with exceptional chiropractic care for over 50 years. Dr. Frank Grayson, Sr. was one of the first chiropractors in town to introduce the concept of wellness through chiropractic care. It began in 1954, when he first opened the doors of Grayson Chiropractic Associates at 1573 East Main Street in the city of Rochester. The practice continued to serve the growing population at this location for over 30 years. Due to the growing demand for chiropractic healthcare, Dr. Grayson relocated the practice to its current location at 121 Rue De Ville in Brighton in 1986. The new location tripled the amount of office space and offered patients added convenience with its ample parking, bus service and shopping - as well as a close proximity to many other healthcare providers. Grayson Chiropractic Associates dedicates itself to providing care to entire families as we ourselves, are truly a “family” practice. Shortly before our move to the Brighton facility, Dr. Grayson was joined by two other Chiropractors – his sons Dr. Dan Grayson and Dr. Frank Grayson. Dr. Grayson, Sr. passed on his dedication and passion for chiropractic care to Dan and Frank. They now carry on the tradition of their father in providing exceptional chiropractic care to the Rochester community. Dr. Grayson, Sr. received his education and training at Texas Chiropractic College located in San Antonio, Texas, from which he graduated in 1954. He held Licensures in New York, Oklahoma, Kentucky and Georgia. This second generation of Grayson Chiropractors followed their father into the chiropractic profession by beginning their training at their father’s alma mater, the Texas Chiropractic College. 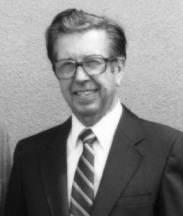 Dr. Dan Grayson received his degree there in 1983 and Dr. Frank Grayson in 1984. Both Dan and Frank are alumni of Monroe Community College and Bishop Kearney High School. 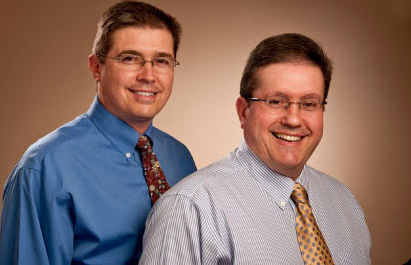 Today, the Grayson brothers maintain the original standards set by their father that have made Grayson Chiropractic Associates the best choice for people who are recovering from injury, experiencing pain, or looking for a healthier lifestyle. We have continued to serve the local and surrounding communities with the same quality service and results our patients have received for over 50 years.